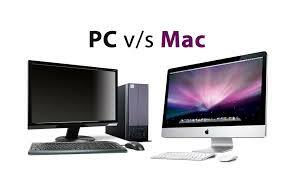 3 Steps To Determine Whether an Apple Macintosh Or PC Is Right For You? While basic functions such as web browsing, scheduling and management, multimedia playback and document manipulation are usually no different on these platforms, there are certain advanced features that are best on certain platforms. For example, if you’re a gaming enthusiast, then Windows would be your choice as opposed to the other two. Content creation, the other hand, is where the Mac reigns supreme, and is considered to be perfect for artists. No matter what you do, don’t think that, as a whole, only one of three platforms is the best. However, there are reasons why the Apple Mac, the pre and custom-built PC exist for customers. The Apple Mac is known for great support and service as well as great looks and features while the pre-built PC offers greater compatibility. Also, custom-built systems are not only available at a better price but their performance is excellent as well. When it comes to making a comparison between the weaknesses of these platforms, usually a pre-built PC and an Apple Macintosh is priced high. As for custom-built PCs, the issue of not being user-friendly will need non-technical users to learn more about components before attempting to put a computer together.